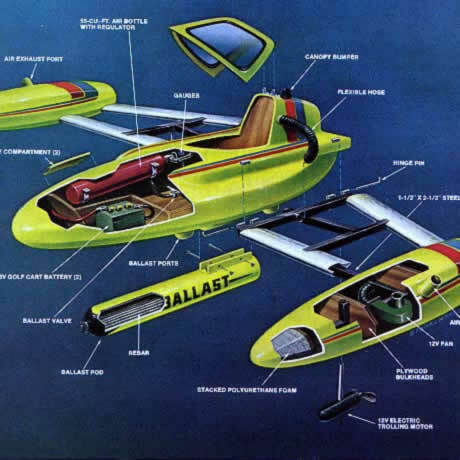 The wonderfully mad AquaSub DIY one-man sports submarine from 1978, shown here in a brilliant cutaway diagram. "AquaSub was designed for cruising the near-surface underwater world in a dry, safe, shirt-sleeve environment". And best of all, plans are still available to build one yourself.